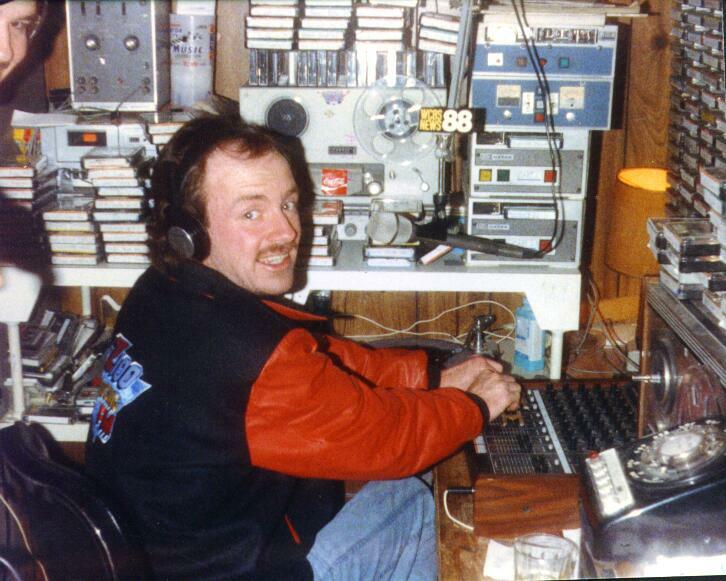 One of the "famous" WKRB graduates, Bill "Spanky" McFarland doing a shift at Brooklyn Pirate Station, WHOT, in November 1987. Photo courtesy of Hank Hayes. 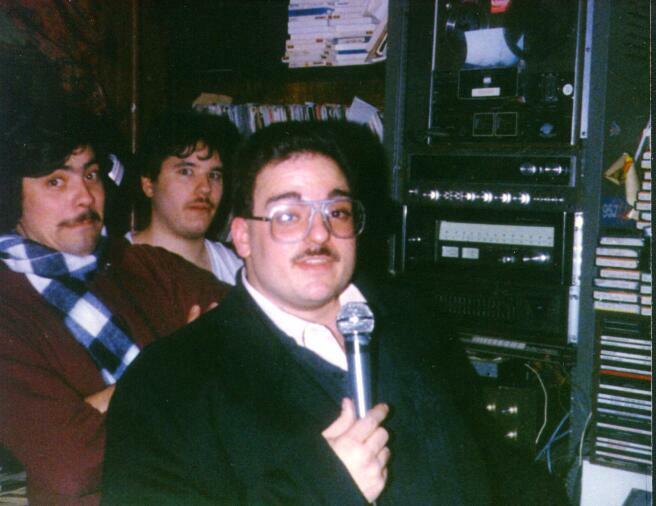 (Left to Right) Chris Tobin, Pete Cipriano & with the mic in his hand, Gil Bassetti.